Behind the scenes at the Royal Victoria military hospital and searching for the archive. 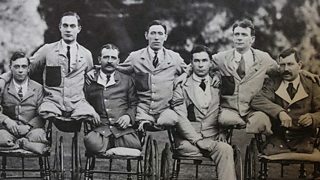 Amputees pictured at the Royal Victoria Hospital at Netley during World War One. How doctors at the Royal Victoria Hospital faked footage on cures for shell shock.